genprompt_bingo is a low commitment multi-fandom, multi-media bingo challenge. Prompt lists are renewed at the start of December and April. New cards can be claimed then even if a previous card has not been completed. If you are interested in feminism and art/literature/film, please join! gluten_free is a cooking community where you can share recipes you've tried, request recipes you'd like to try, ask for cooking and baking advice, share substitution tricks, post cookbook reviews, and recommend gluten-free products and ingredients. Hey everyone! Just thought I should post about underrated_gradence on here! We are a bi-annual prompt fest centring around the pairing between Percival Graves and Credence Barebone from the Fantastic Beasts films! 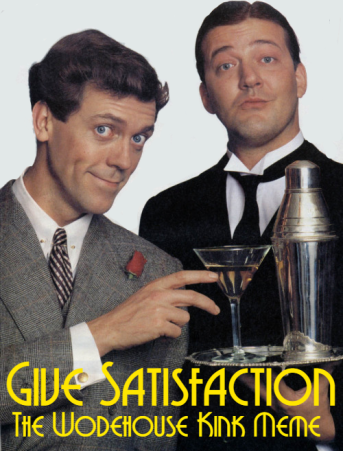 What counts as an underrated trope you may ask? Look inside yourself and ask what you want to see more of here in Gradence fandom! The only real guideline we have for prompts is that it's some thing you want to see more often! The prompt submission post goes live tomorrow (March 1) and claiming begins on March 17. Hope to see you there! and now we have a friending meme! Interested in icon-making friends? Join our Icontalking 2019 friending meme! call_the_midwife_fans is a new community that is dedicated to the BBC TV series Call The Midwife, which was inspired by the memoir by Jennifer Worth. 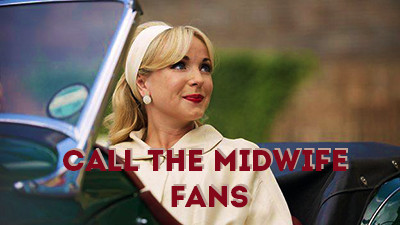 The aim of the community is to provide fans of Call The Midwife a place to discuss the show (and books), participate in episode discussions/re-watches, and share fanworks etc! I am also looking for some co-mods to help me run the community. So if you are interested, please let me know. 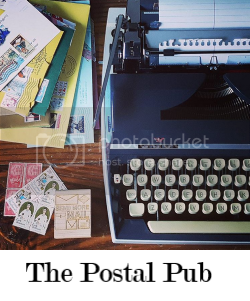 The Postal Pub is O P E N ! Do you like writing letters? Collecting stamps? Lusting over the latest fountain pens or greeting card line? Then the_postal_pub is the Dreamwidth home for you! Join up and hang out with like-minded mail and stationery lovers. theumbrellaacademy is a new community for The Umbrella Academy! It's a general community, and while it’s mostly for the series we welcome discussions about the comics as well. As the show is newly on netflix, episode discussions will be under cut tags. What’s welcome? Pretty much anything really! Episode discussions, icons, screencaps, gifs, thoughts on the comics, art or fics. Anything goes. A place for crafters, artists, coders, and creators of any variety to share their projects. Weekly (or more) posts to sit down and create! Promote your on-going projects, livestreams, or recently finished works. Whether you code, draw, stitch, vid, podcast, edit, or anything else, you're welcome! Fridays are check-ins to share what you've been working on and anything interesting you've read or seen lately. Any sort of writing is welcome! Round One of the kingsmanreversebang, where Art gets created and Words get written, is now open for signups. The complete Rules/FAQ can be found at the Community Profile and here. Please don't hesitate to contact the mods if you have any questions at any point in the sign up. You can do so by commenting on any post, sending a PM via DW, or emailing the mods at the addresses in the FAQ. Our door is always open. Please join us for the Critique U flash fiction challenge! This event will take place on 23 & 24 February 2019. Critique U is a community for finding critique partners and beta readers for your writing, of any type. Click here to learn more about the challenge! symbrock is hosting a low stress fest for sharing Symbrock-flavoured gifts for Valentine's Day. No sign-ups needed! Just post to the AO3 collection by midnight GMT on 13 February to take part. Gifts are revealed on the 14th Feb.
Any kind of fan work is welcome (fic, art, vids, meta, playlists, podfic, etc), as long as the focus is on Eddie and/or Venom from the film or comics. The writing comms listed below offer weekly prompt challenges. To participate, all you have to do is write fanfics, original stories or poems with the exact word count indicated. All fandoms, languages, genres, characters and pairings welcome. Pro_Wrestling: A Professional Wrestling Discussion Community! I've started up a new community for discussing professional wrestling at pro_wrestling. This is a place more for meta, discussion, and getting to know other wrestling promotions, performers, and fans. I wanted to make a socially-oriented space for wrestling on here - we'll try to get weekly all-promotion discussions going and monthly wrestler spotlights and other recurring themed posts to get people talking to each other and about the wrestling they love. This is also a place to talk about wrestling history, zines, magazines, and other bits of ephemeral wrestling culture! It's a place to share icons and non-fictional writing about wrestling. This isn't a fanfic comm because I feel like the network for that already exists and is well-represented and because that's not something I feel like I have the experience to be comfortable moderating. So, consider stopping by! I hope to see you there! Membership is moderated, but just as a way to avoid robot-spam. As long as you don't have an empty journal you'll be approved - and if you do have an empty journal, just shoot me a PM & I'll add you! The Wayback Exchange is a multifandom gift exchange that is focused only on canons that ended more than 10 years ago. Nostalgia is in! Get with it! All deadlines are 10 PM, Mountain Standard Time. Any questions? Leave me a comment at the community, or email me at waybackexchange@gmail.com! Half a Moon is a fourteen day multifandom challenge celebrating female characters, which will run from February 1 through Valentine’s Day. Come join starfleet_hq, an interactive challenge community (AKA landcomm) based on any and all form of Star Trek! We have three branches of service (teams): Operations, Science & Medical, and Tactical. If you're interested in joining us, click on the banner to go to our sign-up post! Our third round begins this Friday, February 1! 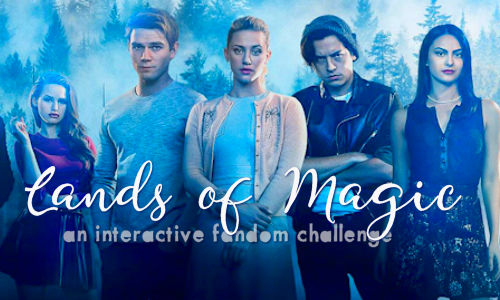 lands_of_magic is an interactive challenge community (landcomm) based in all types of fandoms (literally all) that ran on LiveJournal for over four years and has now run on dreamWidth for over a year! We have two teams, The Summer Court and The Winter Court. Come join us today! Round 4 starts this Friday, February 1! disney20in20, an icon challenge based on the animated films of Walt Disney, is now under new management and will start up again with a special challenge this Friday, February 1! Watch the comm for details and join to enter the challenges! silsbee - The Postal Pub is O P E N ! ioplokon - Pro_Wrestling: A Professional Wrestling Discussion Community!